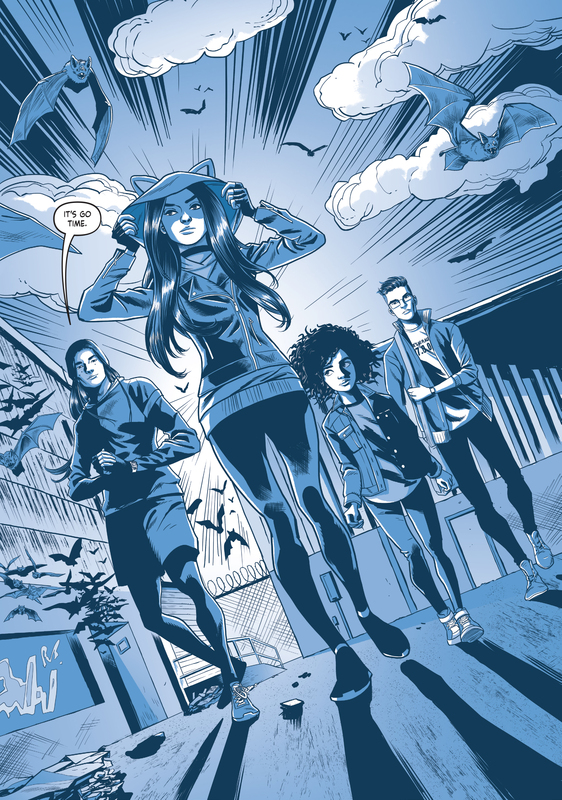 DC have released details and a video trailer for Under The Moon: A Catwoman Tale, the latest offering from their young adult graphic novel line DC Ink which promises to tell the story of a teenage Catwoman as she struggles to find her own identity while living on the streets of Gotham City. The story will be the first graphic novel from New York Times bestselling author Lauren Myracle (ttfn, ttyl) and will be illustrated by Isaac Goodhart (Postal, Love is Love). Here’s the official blurb and trailer. When 15-year-old Selina Kyle, the girl who will grow up to be Catwoman, becomes homeless, she must confront questions of who she is and who she will become.Selina rejects human cruelty, but sometimes it seems as though brute force is the only way to win. And if Selina is going to survive on the streets, she’ll have to learn to be tough. Can she find her humanity and reconcile toughness with her desire for community…and love? The book is available to pre-order now and will hit stores everywhere books are sold on May 7, 2019. An excerpt from the book is also DC’s gold title for this year’s Free Comic Book Day on May 4.